I would like to duplicate a Bloc to another page. 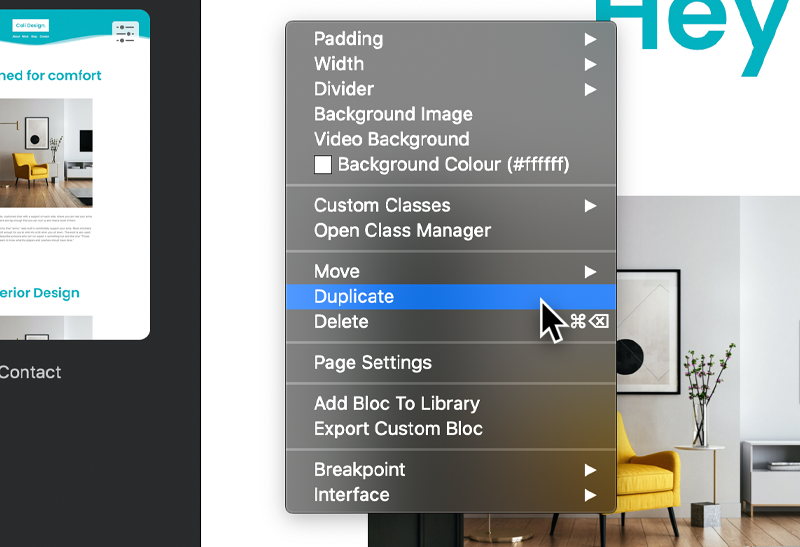 You can easily duplicate any element in Blocs using either the keyboard shortcut ⌘D, or by simply right clicking an element and selecting duplicate from the contextual menu. 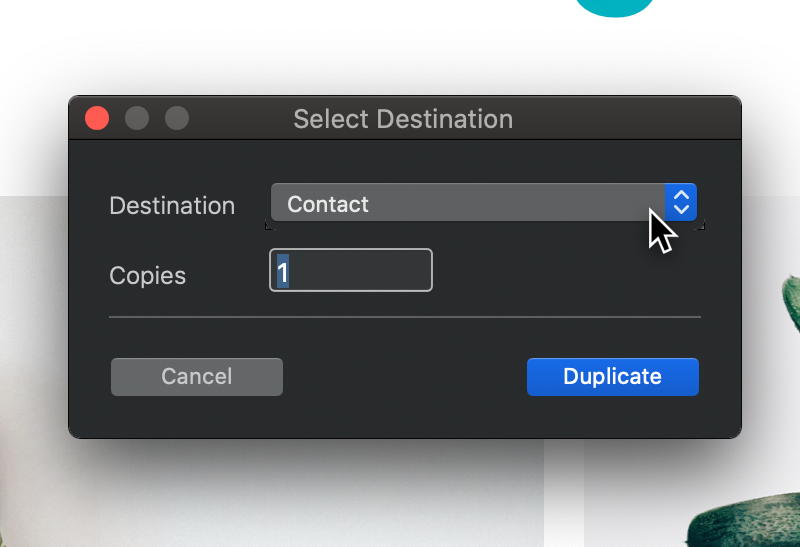 When you duplicate a Bloc, if you have more than one page in your project you will be greeted by the duplicate destination window. From this window you can now select which page you would like the duplicated Bloc to be added to.